One of the coolest parts of a great car show are really amazing concept cars. 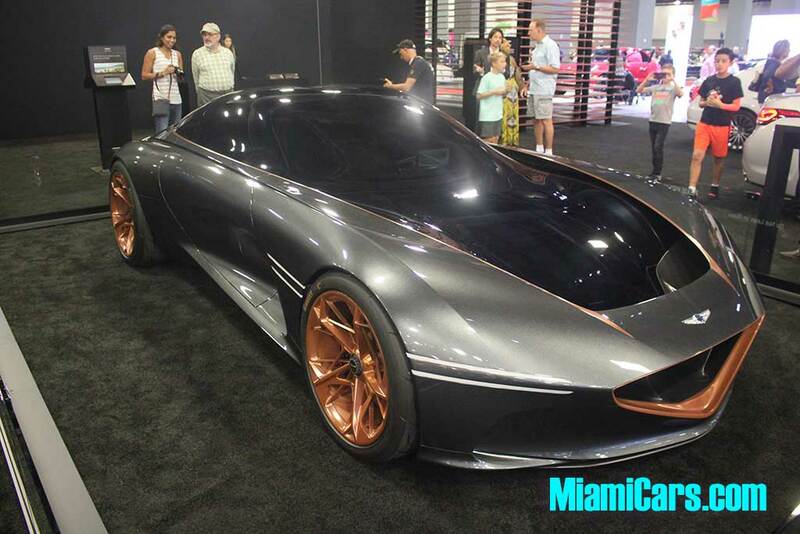 And while the Miami International Auto Show didn’t have a great variety of concept cars this year, the Hyundai Genesis Concept was gold. Speaking of GM, the gold wheels scream 1980 Pontiac Firebird Trans Am, but far bigger and far cooler. This stunningly gorgeous beast screams I’m an American and I don’t give a #### about what you think of me. You know what we like at any show? Surprises. I was pleasantly surprised to see a variety of solar powered cars built by students. Yeah, I’m not buying one nor is the tech practical for real life, but it’s nevertheless impressive to see the students and teachers plying through the frontiers of solar tech to hopefully make the dream of solar cars a reality. 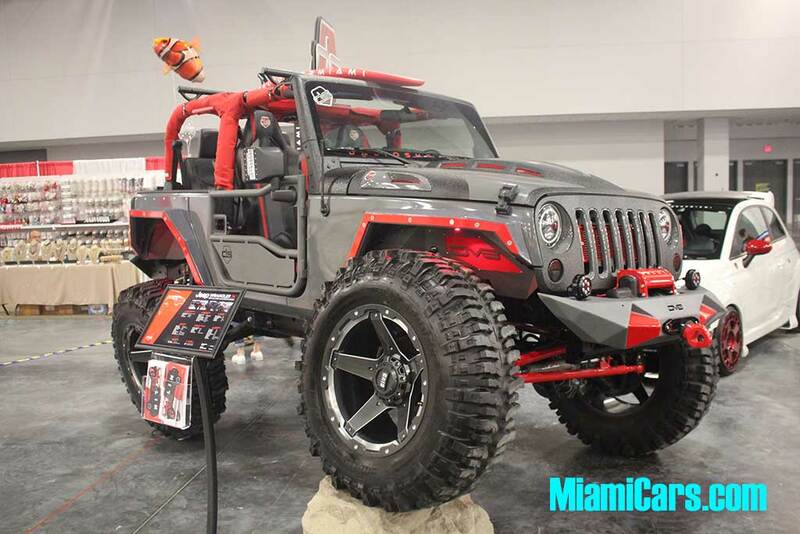 Jeeps continue to be ever popular and these custom designed jeeps were definitely show stoppers and brand ambassadors. Auto shows are about highlighting the cars we lust after. Maybe not the practical car we need to haul a family of five, but the amazing cars we love to dream about. And the Shelby exhibit was all American testosterone fueled horsepower. They had a Beautiful Shelby Super Snake, a Shelby F-150 with over 700 horsepower, a Shelby Raptor and a fully customized F-350. 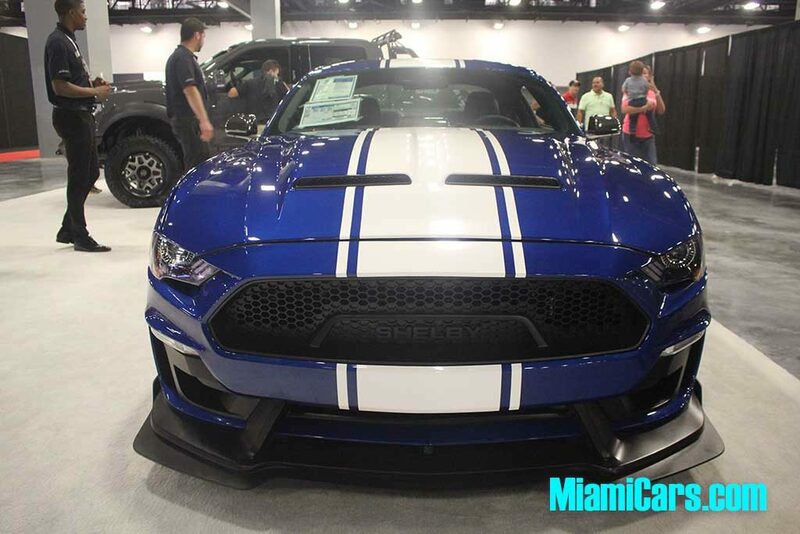 Guys who love horsepower and big toys would LOVE the Shelby exhibit at the Miami Auto Show. Let me be clear, it was a good show. But the worst part of the show was that there was no million dollar alley. No Ferraris. 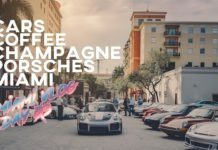 No Lambos. No Aston-Martins. It seems The Collection, which normally fills this roll, opted not to participate in this year’s event. 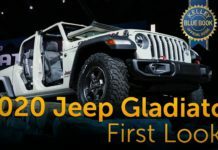 If you’re seriously in the market for a new car, you should go to the auto show to easily compare cars in one showroom floor without pushy sales people. 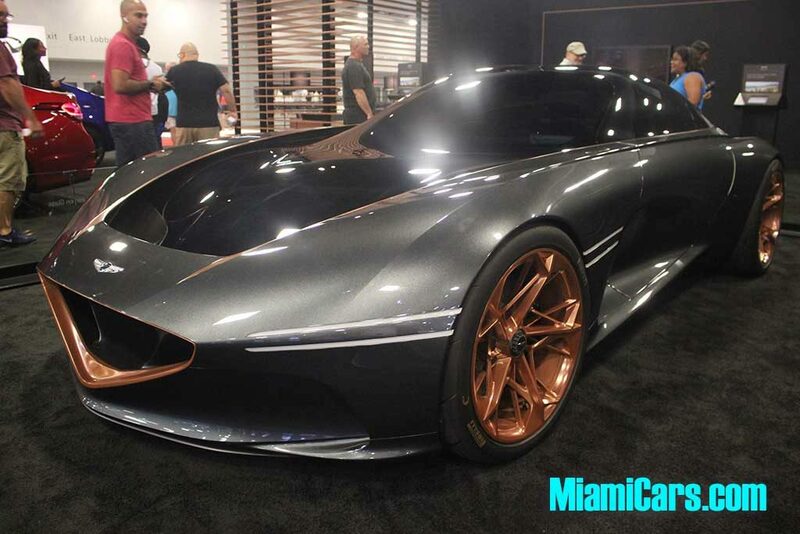 But for the casual folks who are looking for entertainment and want to see the cars they’ve lusted over since they were kids, the lack of exotics limited the overall enjoyment at this year’s show. Hopefully, the show will hammer out the details to bring the exotics back next year. Also, the Havana classics are nice and there were a nice variety of classic cars, but I’ve seen more classic cars at the FREE Miami Springs Classic Car Show on July 3rd than I saw at this show. Nice classic cars, but the show should try to bring in some more of the classics. Oh, and where the heck was Mercedes Benz? 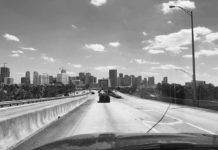 A no-show in Miami? That seems wrong for Mercedes to miss out on reaching one of the richest markets in America…South Florida. Parking costs more than the entrance fee. Okay, it’s Miami Beach. There isn’t a whole lot of land nearby. Everything is expensive. And I’m not going to say, “Oh, I remember when it used to cost $5 to park there.” Oh, wait…I just did. Okay, beyond the cost of parking, the ugly part was that the show felt small. it was missing key brands from the high end spectrum. Some of the classics were spread apart to fill out dead space. And black curtains were put up to fill in some of the empty areas. 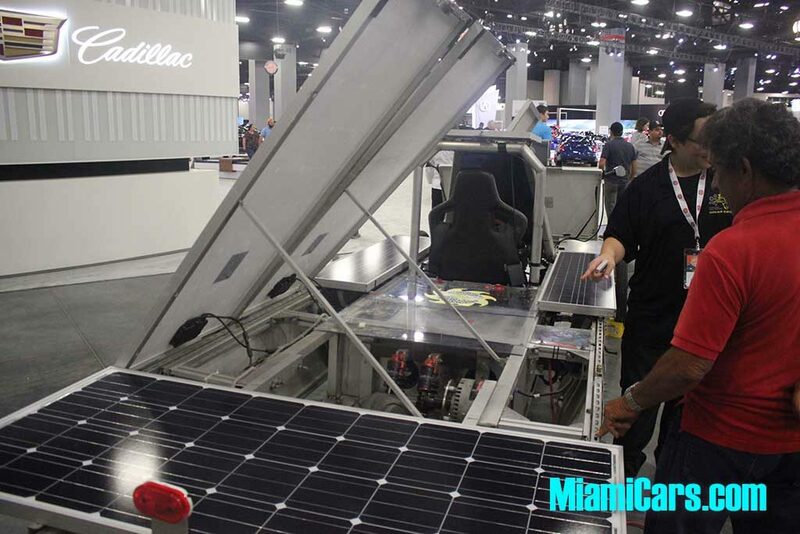 The Miami Auto Show draws a big crowd and should have more vehicles next year. Again, we’re extremely happy to see the Auto Show back in operation this year. We hope next year will have more concept cars, more luxury cars, more brands, and more success.